We’ve been watching the Winter Olympics and getting caught up in the fun with the United States winning some very important medals this year at the Pyeongchang games. The more and more we saw the new design of this year’s medal, the more it started looking like cupcakes to me. 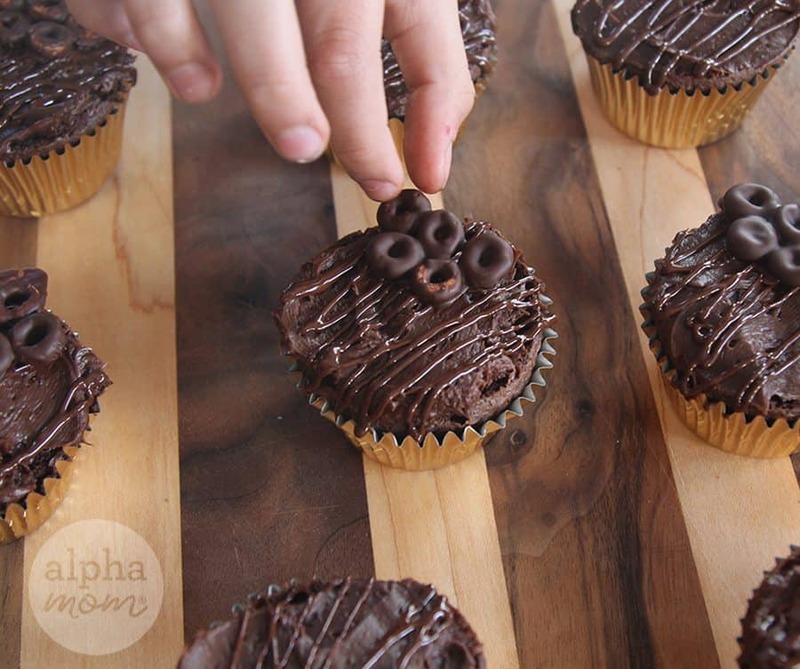 Or, maybe I just have cupcakes on the brain. LOL. 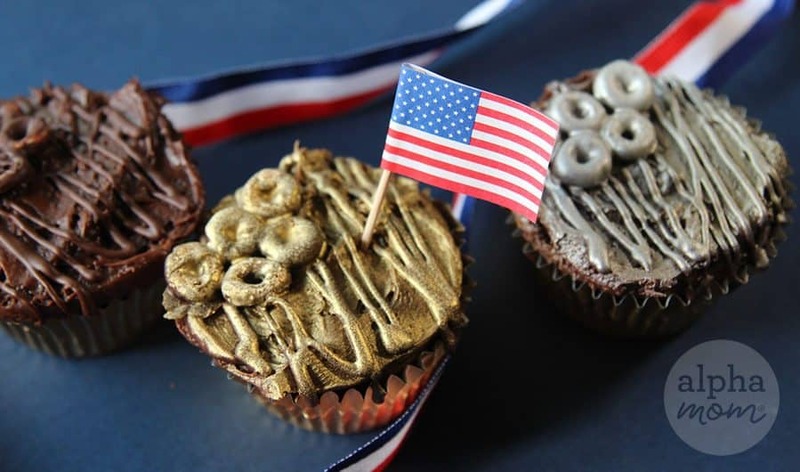 Either way I decided we had to make some Olympic Medal Cupcakes because…we fun! 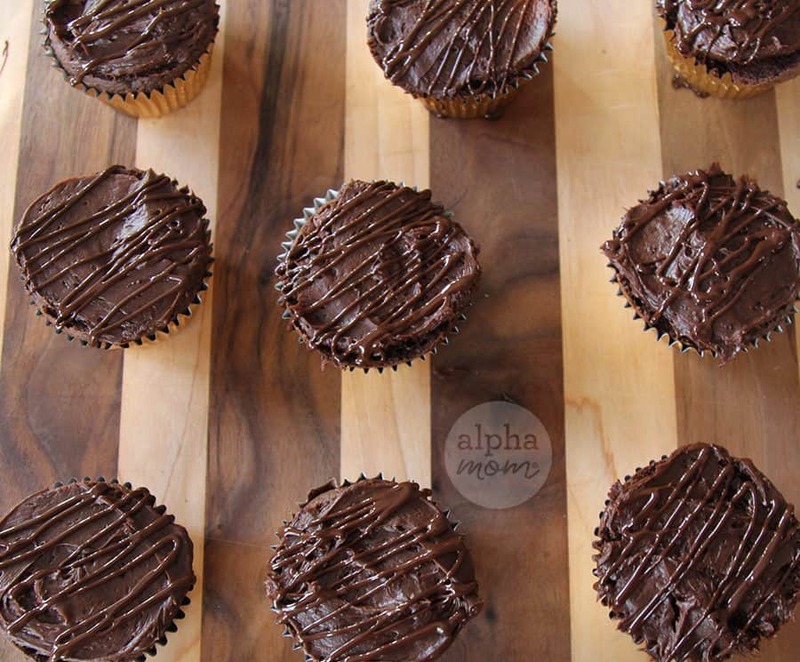 We iced them with our favorite chocolate butter cream frosting and drizzled them with melted chocolate in a pastry bag (saving some in a bowl for later) in a diagonal criss-cross motion across the top. 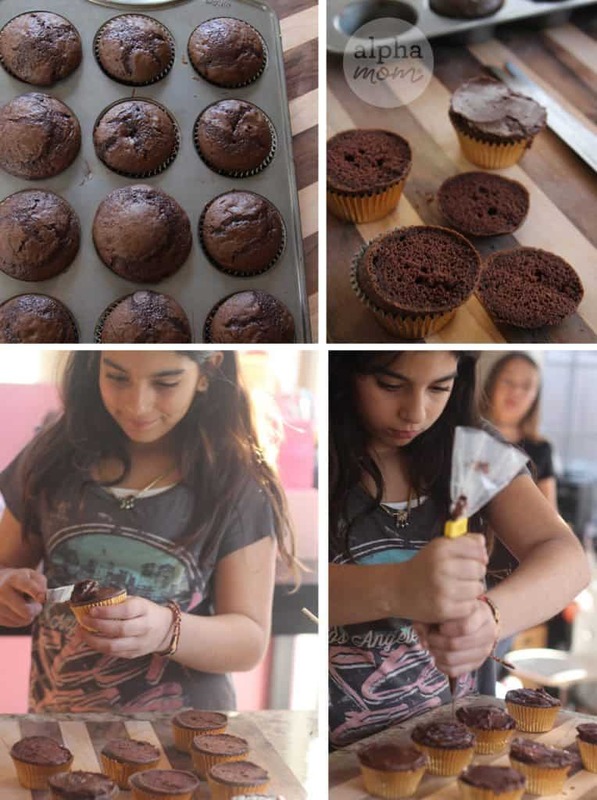 If you are not familiar with melting chocolate be sure to check out our Spiced Apple Muffins with Cream Cheese Frosting and Chocolate Leaves post. Don’t be afraid to play with chocolate. It’s super fun and surprisingly easy once you get the hang of it. Once we got the diagonal drizzle down it was time to add the interlocking Olympic rings detail. 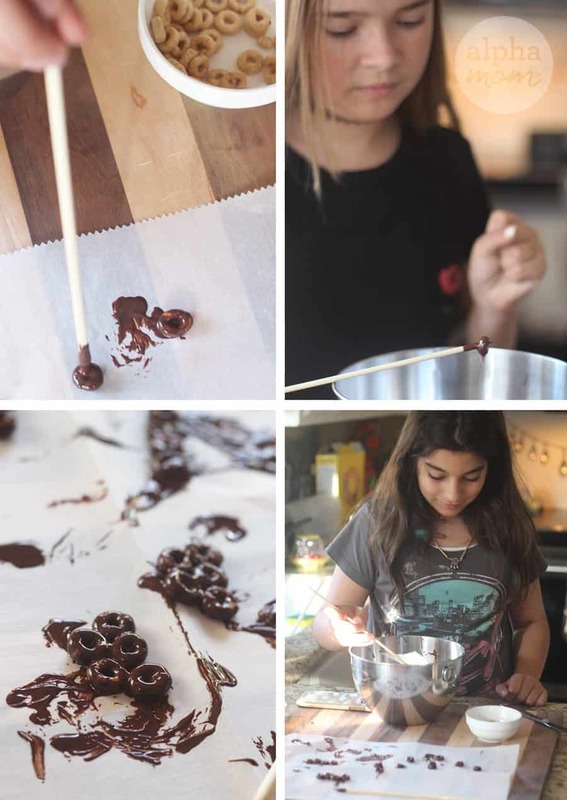 We took Cheerios and dipped them in the bowl of the remaining melted chocolate with a skewer, fondue style. Then we laid them down on parchment paper and sort of scooted them along until the chocolate fell away so you could see their hollow centers like so (see top left photo). Then we scooted them together in formations of five and let them cool in the refrigerator for 10-20 minutes. Once the ring-shaped cereal was cool we decorated the drizzled cupcakes with them to the top left just like the real Olympic medal design. 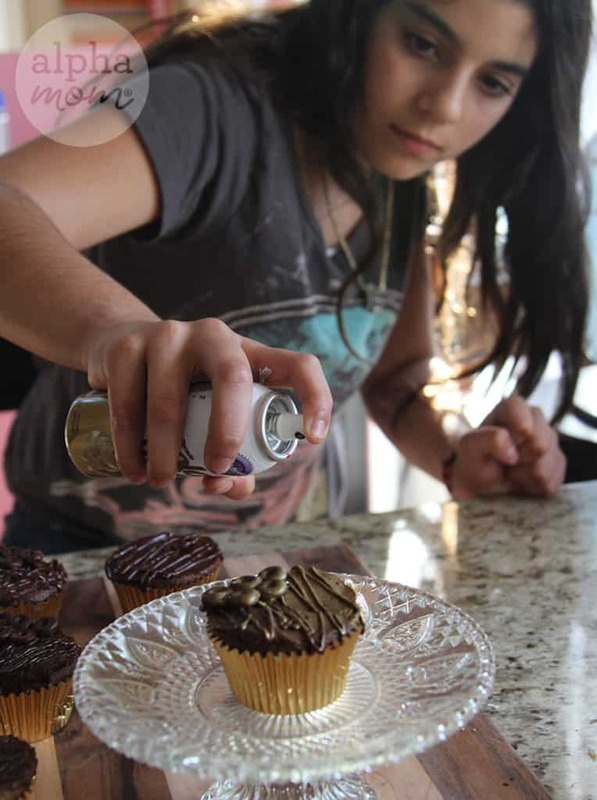 Then for our final touch, we sprayed them with edible metallic spray in gold and silver. To achieve the bronze effect, we left them as chocolate with just a light dusting of gold spray. 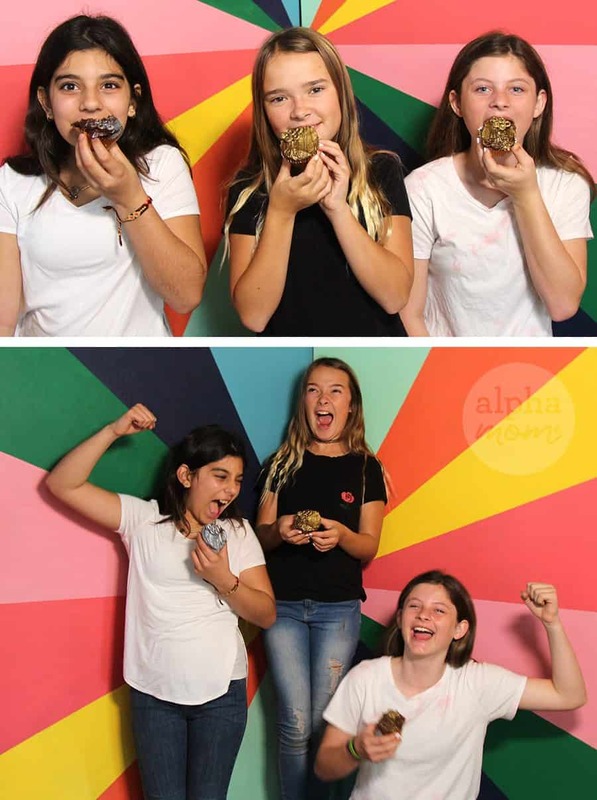 Lastly, we posed like champions and ate our Olympic “medal” cupcakes with gusto!